Dr. Barr joined WESTMED as a full-time dermatologist in August 2011. He graduated with a bachelor of arts degree from Vassar College, where he received departmental honors and the Olive M. Lammert Award for Organic Chemistry. He received his medical degree from Stony Brook University School of Medicine and was recognized by the Alpha Omega Alpha Honor Society. 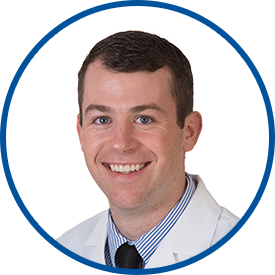 He completed an internal medicine internship and his dermatology residency at Stony Brook University Hospital, where he also served as chief resident. Dr. Barr is board certified in dermatology. He specializes in medical dermatological services for adults and children. *Dr. Barr is excellent and I immediately thought of him for my daughter. With Dr. Barr and staff, WestMed has the best dermatological medical practice in Westchester County. Dr. Barr is extremely knowledgeable and also very kind. He always answers all of my questions in a thorough manner and is always helpful. Dr. Barr is amazing!!! Totally trust him with my life!! My son gets very fussy and shy at his doctors visits. However, Dr. Barr made a fantastic effort to be playful during his exam. Half way through the visit, my son didn't cry but smiled and was playful with Dr. Barr. As a parent, it's very comforting to know a doctor goes out of his way to ensure his young patient feels comfortable. Thank you, Dr. Barr! *Dr. Barr, very comfortable with him. Dr. Barr was exceptional in his manner. Very quick diagnostician. I can understand why it took a while to get an appointment with him. Dr. Barr was very patient, caring with good bedside manner. He is knowledgeable and i'm feel confident under his care.